His other novels are SCAPESCOPE, MEMORY BLANK, DEATH TOLLS, and DEEP QUARRY. MEMORY BLANK: In space... what you don't know can kill you. DEEP QUARRY. A Buried Starship. Nasty Aliens. Love and Death. REDSHIFT RENDEZVOUS: One fabulously wealthy colony. One hyperspace craft. One team of ruthless hijackers. One loner in their way. Do the math. 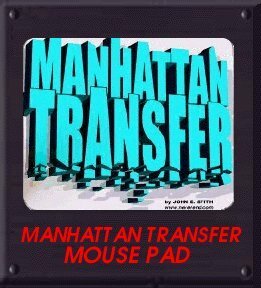 MANHATTAN TRANSFER: Aliens just kidnapped Manhattan. They picked the wrong city to mess with. REUNION ON NEVEREND: Ancient secret. Old girlfriend. Imminent danger. DEATH TOLLS: When disaster strikes on Mars, one news team is always first. RECKONING INFINITY: The Bionic Woman meets Journey to the Center of the Earth. ALL FOR NAUGHT: Nick Naught, Private Eye. An analog guy in a digital world. SCAPESCOPE: Brother Sammy Wants YOU! In prison. For something you haven't done yet. Check out the Tiny Time Machine announcement page. He's the author of ALL FOR NAUGHT, which collects "Naught for Hire," and "Naught Again" both first appearing in ANALOG. If you hear about "Naught for Hire" verbally, you might think the title is "Not for Hire" but it's not. Check out the Naught for Hire website for even more info on the upcoming webisode series starring Ben Browder. There's also a bit of NAUGHT FOR HIRE info here. 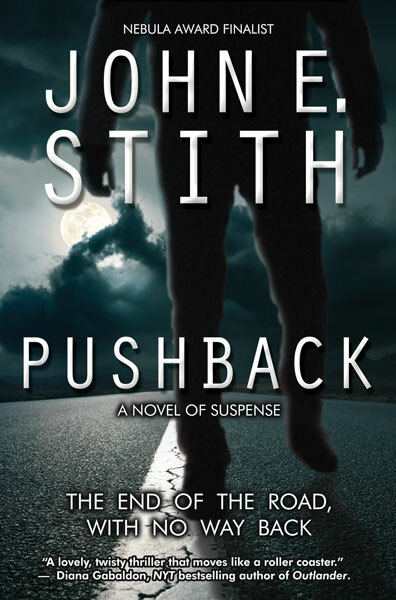 Want to help spread the word about John E. Stith? See the Con Flyers page. The Stith Store merchandising page lets you order t-shirts, mugs, and mousepads with graphics from your favorite John E. Stith novels and science-fiction art. This is the free WALLPAPER page.